Paid search marketing is paying to advertise your website, products or services on search engines such as Google, Bing and Yahoo. Paid search is frequently referred to as pay-per-click or cost-per-click advertising as you normally only pay when a searcher clicks on your ad. 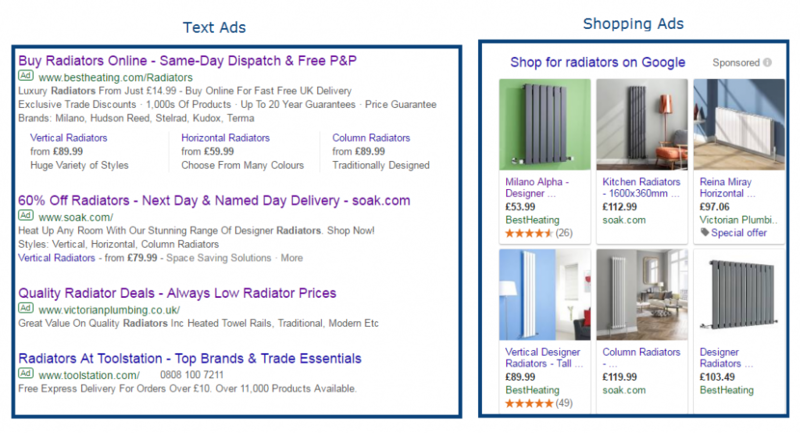 In the UK the most popular paid search platforms are Google AdWords and Bing Ads. Google AdWords allows you to advertise on the main Google search engine as well as multiple search partners including eBay, Ask.com and YouTube. Bing Ads shows your ads on Bing and Yahoo, and also other partners including DuckDuckGo and AOL. Wikipedia defines email marketing as “the act of sending a commercial message to a group of people”. I can’t really argue with that, however, there’s a bit more to it. When done right email marketing is probably the best digital marketing channel for driving ROI. Do it wrong and you might isolate your audience, or even end up with your domain being blacklisted. If you have a website, and you have a list of customer email addresses, but you’re not doing email marketing, you are missing a big opportunity. There are plenty of providers to choose from including free platforms like MailChimp to enterprise platforms like dotmailer and Bronto. The rise of social media platforms has been meteoric. As of February 2017, Facebook was close to hitting 2 billion monthly users – that’s over 60% of the worlds’ internet users! Advertising on social media can be free such as having a Facebook page or Twitter account for your business. Paid options are also available such as Sponsored Stories on Facebook, promoted pins on Pinterest and Sponsored Updates on LinkedIn. Which method and platform you use depend on your target audience and your marketing goals. Now I should point out that this list is by no means comprehensive. There are plenty of channels which I’ve not covered such as display, direct, or affiliates. I’ve also only focused on channels that drive traffic to your website, but if you’re a retailer then there’s also online marketplaces to consider. Additionally, new channels being developed all of the time as online consumer behaviour changes so it’s important to keep up to date with new developments. 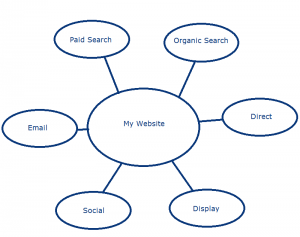 Which Digital Marketing Channels Should You Focus On? This is one of the most frequently asked questions in Digital Marketing, and the answer is “it depends”. It depends on your budget, your marketing goals and your target audience. To some degree, it also depends on your industry or website niche. For example, a large online retailer is likely to have a large budget for paid search, and a diverse range of other traffic sources. A small, local garage, on the other hand, is likely to be more focused on search engine optimisation to appear in local searches.